Imagine a store that is open 24 hours a day and 7 days a week, with a multitude of safe payment options and a wide variety of local and international brands to choose from! All this in the comfort of your home! When shopping on IWJ Designs, you also get the best prices guaranteed with free delivery anywhere in South Africa. STEP 1. Browse our website. STEP 2. Once you have selected a section/category of the website you would like to shop, you can now select that perfect item to buy online. STEP 3. When you have found the item or items you would like to purchase you then need to click on the Add to Cart button. STEP 4. If you are done and would like to complete your online shopping, then all that needs to be done now is place your order and make your payment. STEP 6. As soon as payment has been made you will receive an email with your order confirmation. STEP 7. Get ready for the delivery of your parcel. FREE shipping to ANY location in South Africa for all orders over R750. For orders under R750 there's a flat rate fee of R75. All items in stock will be shipped between 3-5 business working days of receiving a cleared payment for your order. This might take slightly longer if delivering to outlying areas. Upon ordering your item, you are required to provide an address for the courier to deliver to. Couriers do not deliver to P. O. Boxes or Post Net addresses. We use nationwide couriers to deliver your purchase. Once your order has been processed you will receive a message containing a Waybill number and a link to the courier’s website. This link will allow you to track the parcel until it arrives safely at your door! If your order exceeds R750 your shipping is FREE! We do not ship internationally. We are sure you’ll love your new purchase! However, if within 7 days of receipt you’d like to return it, send it back to us together will all the original packaging. We’ll happily exchange it for something else, or give you a refund on your purchase price (less our shipping costs). To be eligible for a return, the item MUST be unused, unopened, and in the same condition that you received it. It must also be returned in the original packaging. Please send an an email and obtain a Returns Authorisation Number (RAN). We will need your order number and proof of payment. Any item returned which is not in its original condition, or any item that is returned more than 7 days after delivery will not be accepted. Once we receive the returned item it will be inspected to confirm that there is no damage. If the return is approved, your refund will be processed within 30 days of the date received. A credit will automatically be applied to your credit card or original method of payment. If you haven’t received a refund within the 30 day period, first check your bank account again. Then contact your credit card company as it may take some time before your refund reflects in your account. Next contact your bank. There is often some processing time before a refund is posted. If you’ve done all of this and you still have not received your refund within 30 days, please contact us at [email protected]. We only replace items if they are defective or damaged. If you need to exchange it for the same item, send us an email at [email protected]; and we'll reply with instructions on how to return your item. 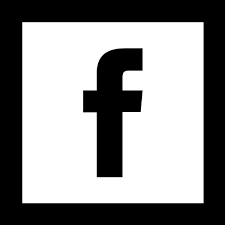 IWJ Designs is an official South African online retailer of all of the brands featured on our site. Every IWJ Designs timepiece is purchased from a registered watch distributor and authorised authentic (you won’t find any ‘grey’ models here), and carries a full South African warranty. Each IWJ Designs warranty is generated by the respective local supplier and will therefore differ from one brand to the next. As an online retailer, we do not handle repairs (for example, assessing faults or replacing batteries). In order for repairs to be considered to be under warranty, proof of purchase or the actual warranty card is required. A warranty is no longer valid if it is obvious that the watch has been tampered with, or repaired at a non-certified repair centre. Please note : we do not offer product spares such as straps or batteries on our online store. If you are having problems with a watch which you have purchased from IWJ Designs, please feel free to give us a call on 011 79 44873 and we will assist you as soon as possible. Please remember to quote your IWJ Designs order or invoice number so that we can best assist you ( We do not support products which have not been purchased through ourselves or which have been purchased abroad ). IWJ Designs is an authorised watch retailer and not the official South Africa distributor of a brand we offer ... we therefore do not know the locations of all the services centres in South Africa. All servicing of our products are serviced either by the South African brand distributor or appointed services centres. When purchasing a watch which has a metal bracelet with adjustable links, we will gladly adjust the watch bracelet to fit your wrist before sending the watch to you - free of charge*. Simply type your wrist measurement (in centimeters) into the Notes section of the checkout and we will ensure the watch bracelet is adjusted accordingly before being sent. We will also include all the surplus links with the watch. You can measure your wrist with a piece of string which you can measure against a ruler. You should allow about half a centimeter of slack to prevent it being too tight on arrival. In the event of you needing an extra long wrist measurement which requires an extension to the original watch, we must obtain extra links from the manufacturer, and in this event we will contact you to inform you of any possible delays or applicable charges. Watches with bracelets adjusted by us are eligible under our refund policy. Please note that once the bracelet has been adjusted by a 3rd party, the watch is no longer eligible for our refund policy. Be sure that the watch is to your liking before getting it adjusted by a 3rd party. It is not always possible to adjust a watch bracelet to the perfect fit you require with a wrist measurement. 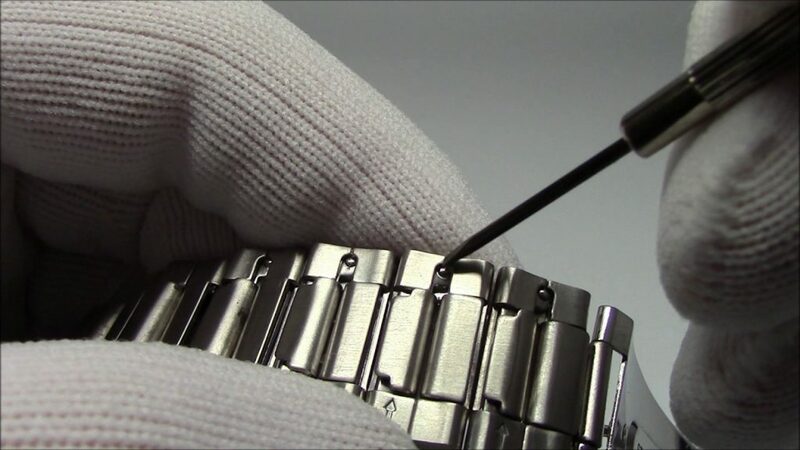 Although almost in every case the measurement will be correct, in some cases it may be necessary to have the watch further adjusted at a local jeweller or watchmaker. This is an additional service, therefore we cannot provide any compensation for consequential losses for a) failure to adjust the bracelet, or b) inaccuracies in the adjustment. If you are purchasing a watch with a non-adjustable bracelet (mostly gold watches) then the watch must go to the manufacturer's service department for the adjustment. This is a straight forward process which usually takes one week. Various tools exist on the market which allow you to perform a bracelet adjustment yourself. Generally, we do not recommend this procedure. Watches which have been adjusted using improper tools or methods will not be eligible under our refund policy. *Adjustment service is free, but additional links may incur a charge. If links need to be ordered we will fit them as soon as they arrive at our warehouse, normally within 5-14 working days. Alternatively we can send the watch to you and the links when they arrive.